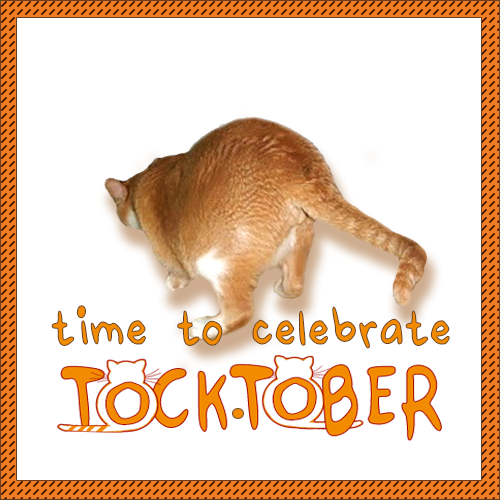 Melissa's Mochas, Mysteries and Meows: Happy ‘Tocktober! 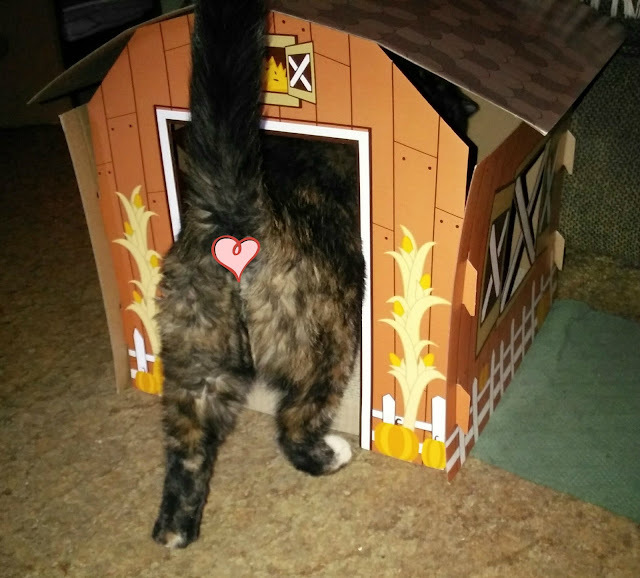 In the cat blogosphere we celebrate 'Tocktober in honor of our dear friend Derby, who loved to flaunt his cute little buns at every opportunity. You are much more modest than Binga, Mudpie! If that isn't just about the cutest tock ever, I don't what is, Mudpie. And so classy of you, making sure to leave a little to the imagination. Purrs! That is a really cute shot, Mudpie, and I love how your mommy kept your modesty intact too! Well, now I can say without a doubt that you are gorgeous from every angle, Mudpie. I can't type what Bear was thinking (BOYS!). Do you have one partial white paw in the back?!?! Kitty was half tortie/half tabby and she had one partial white paw in the back and it melted my heart every time I saw it! Aw, those are cute tocks you have, Mudpie. We're glad your mom covered your Spot 13. MOL we love your 'tocks shot!!! Thank goodness your Mom covered your tocks up for you Mudpie. My tocks are so covered in fur you can't see a thing, which is why sometimes Mom has to clean me up! Tee hee!! Don't be embarrassed, Mudpie ! When I was a kid we lived on a farm, and when you're in the barn you see a lot of cow 'tocks. MOL! This is too funny, Miss Mudpie! O mi Cod, we we would DIE for that cute Halloween House! And we think your little cover up is adorable!